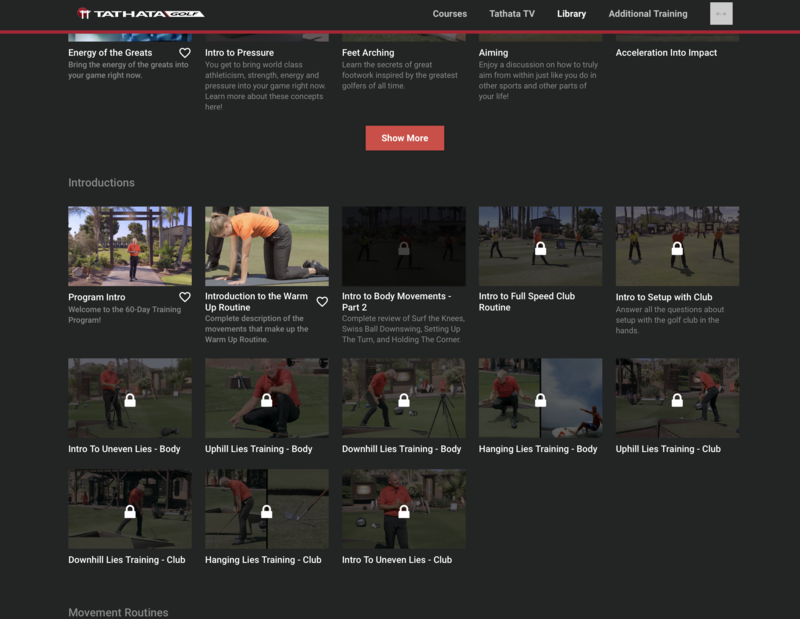 Access movement routines, deeper discussions, mind training exercises and more from any course broken apart and categorized inside the library, along with your favorites and any additional bonus training material from Tathata Golf. NOTE: Once you view a course lesson or TV show episode, the sections within these videos will be broken apart and unlocked for you to view individually in the Library. You may only watch content in the library that you have unlocked.